Essential oils are the highly concentrated, aromatic essences of trees, shrubs, herbs, grasses, resins and flowers. Essential oils are greaseless and not like the other ‘oils’ you have in your home like olive oil or coconut oil for example. Essential oils contain countless medicinal components that affect the body at the cellular level. keeping our bodies clean and our system functioning as it should. The key to producing therapeutic-grade essential oils, is to preserve as many of these delicate compounds and maintain purity. 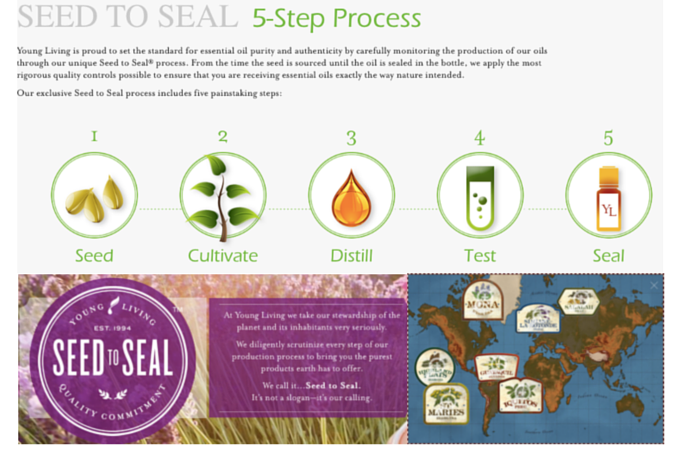 Young Living maintains stringent quality controls through their 5-step “Seed to Seal” process.